Discovery World Trekking is the government registered and certified, privately owned leading Nepal’s adventure trekking and mountaineering company operated by the local team of experience, proficient, self dedication and passionate tourism professionalism, affiliated with Trekking Agency Association of Nepal (TAAN), Nepal Tourism Board (NTB), Nepal Mountaineering Association (NMA), Himalayan Rescue Association (HRA) and Kathmandu Environmental Education Project (KEEP). Since establishment in 2000 A.D. we have been gathering and sharing extensive knowledge, experience of treks, mountaineering expeditions, adventure tours and sports nationally- Nepal and internationally-Tibet and Bhutan. Moreover, our endeavor has always been to offer unique, interesting, exciting and thrilling natural and cultural wonders to our clients through the exploration in the Himalayas to have an ample opportunity to experience both adventures and local cultures at the same time. As one of the responsible tour operators in Nepal, our clients ‘care, safety, satisfaction, personalized service and flexible itinerary are our first and foremost preference and concern in organizing any of the trips in the Himalayas. 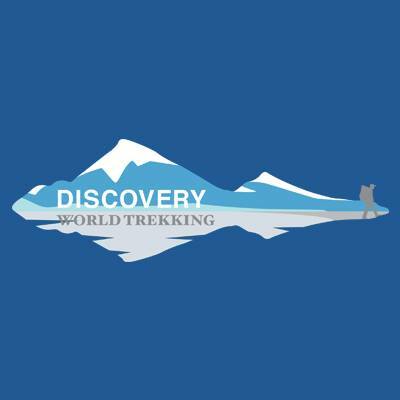 From the day of inception, Discovery World Trekking has continued to maintain aim and commitment of highly standard professionalism and quality service, so deeper insights and knowledge about the natural, cultural and Himalayas for a journey of exciting, unforgettable and wonderful lifetime experience.